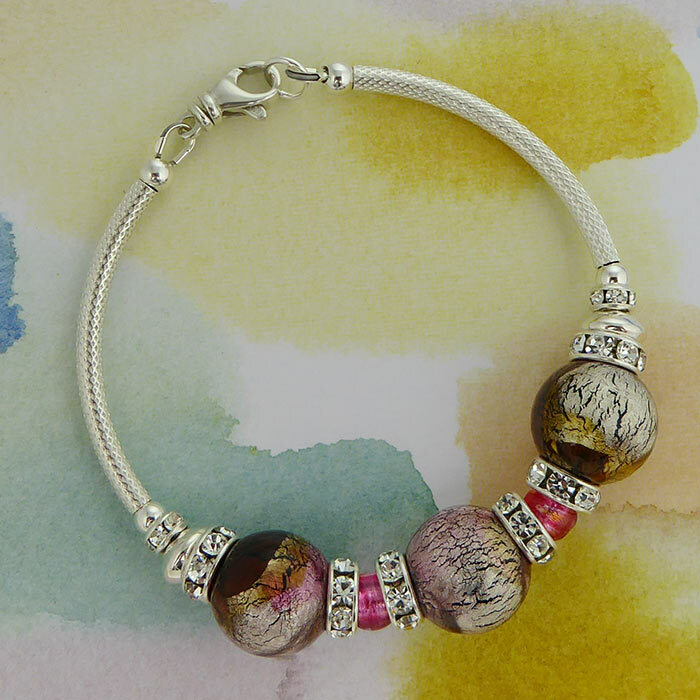 This Murano Glass Beaded Bracelet features handmade beads in soft pastels of Topaz and Amethyst accentuated with pink Murano Glass Beads and crystal Rondelles. This handmade bracelet features .925 Sterling Silver Diamond Cut Curved Tubes and a Sterling Silver swivel lobster clasp which makes it easy to open and close. The length is 7.5 Inches (19cm). 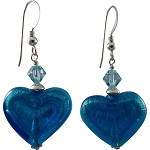 As we make these with our authentic Murano Glass Beads, we can adjust the length for you. Just ask.